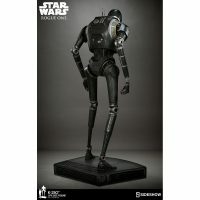 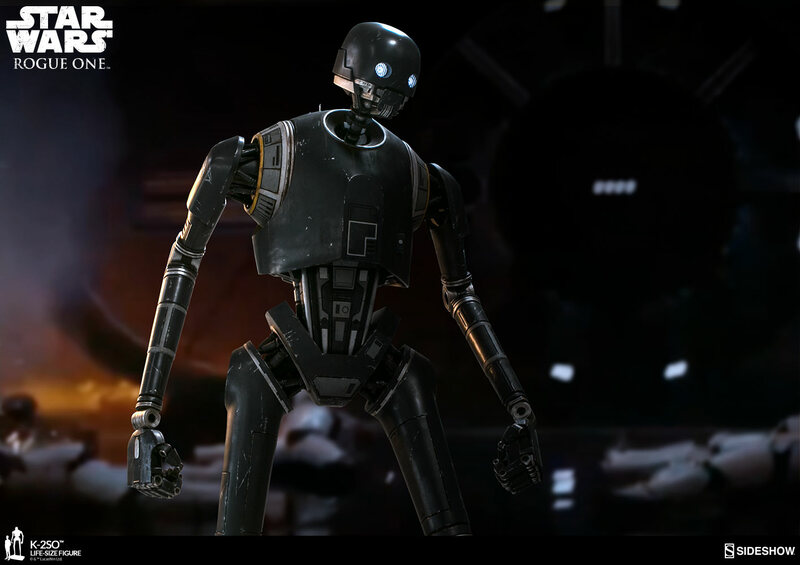 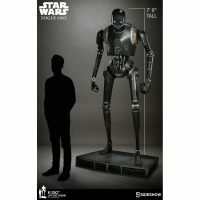 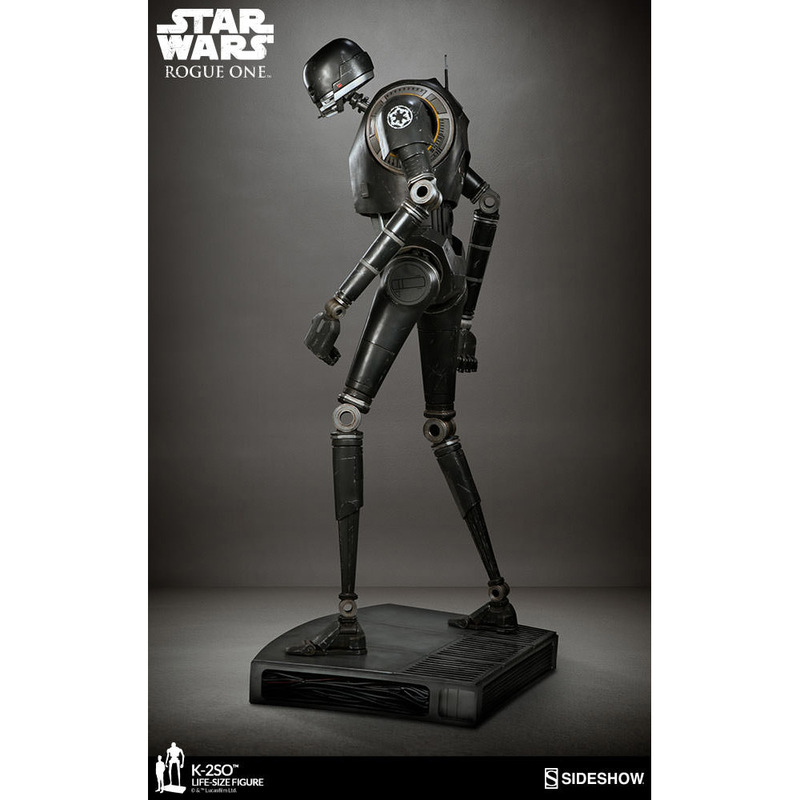 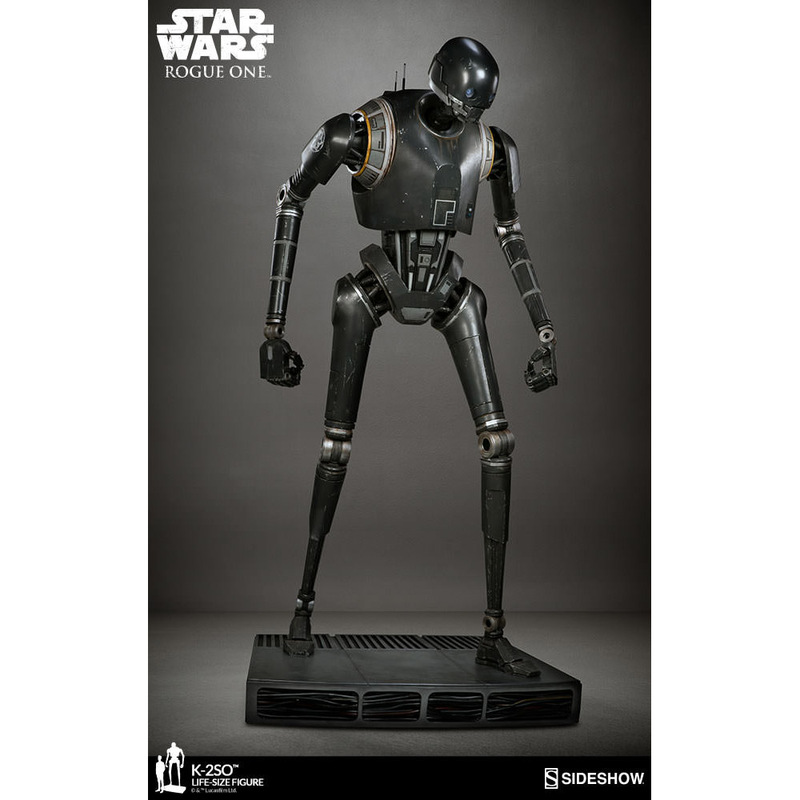 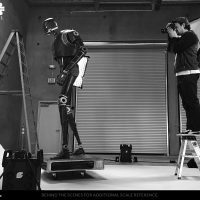 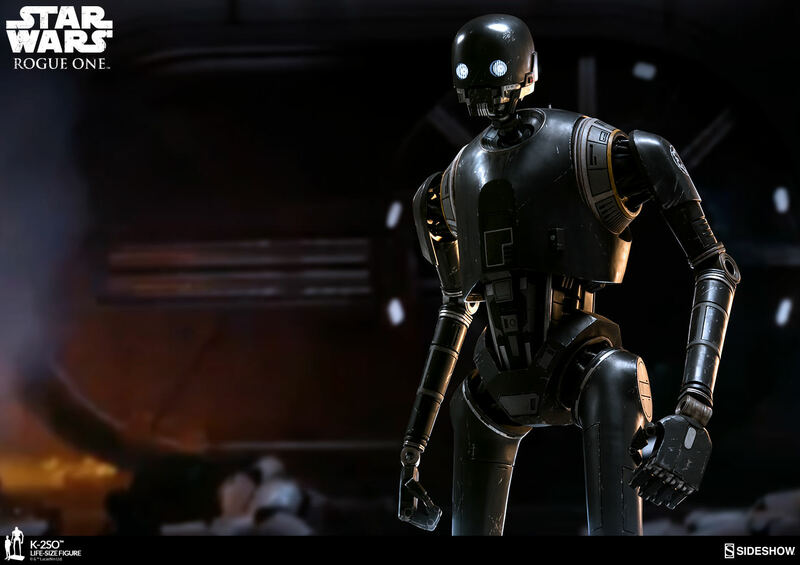 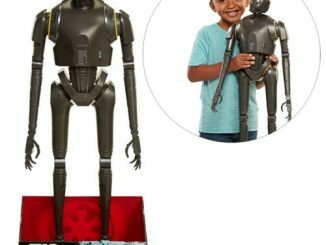 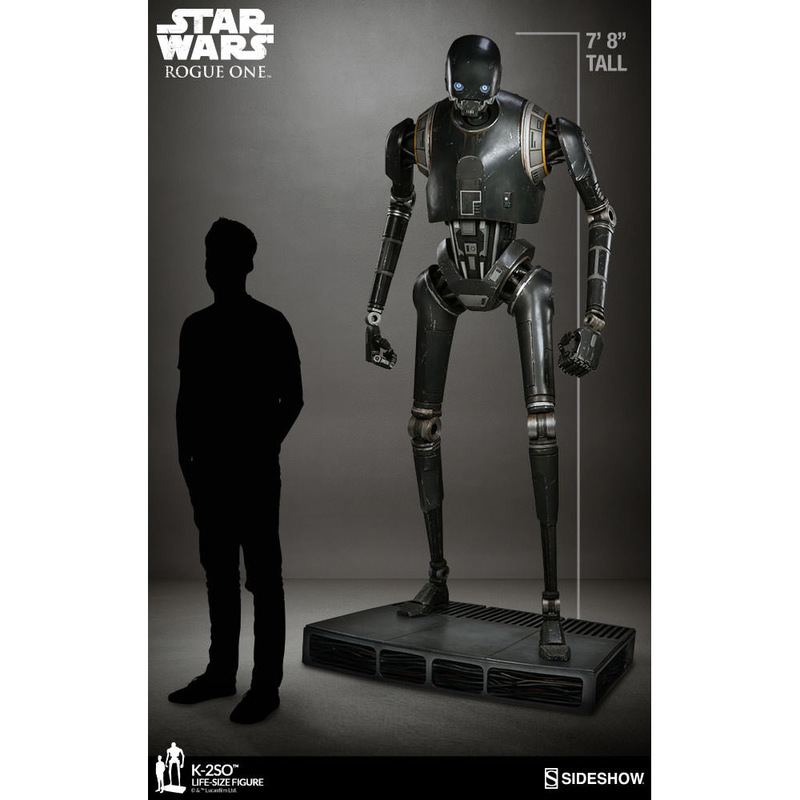 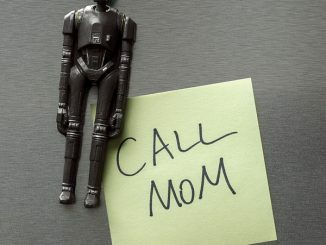 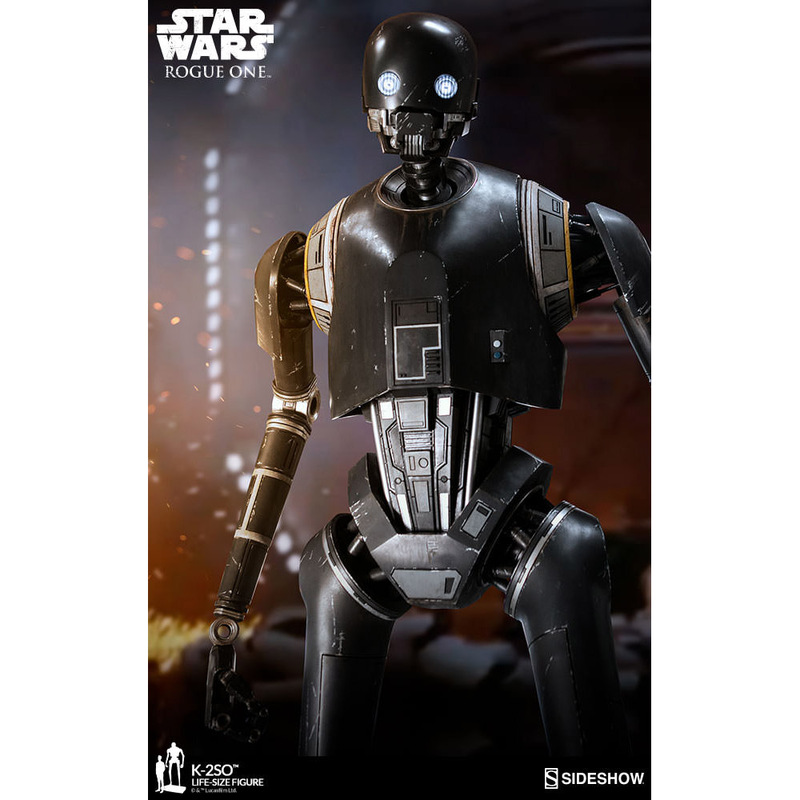 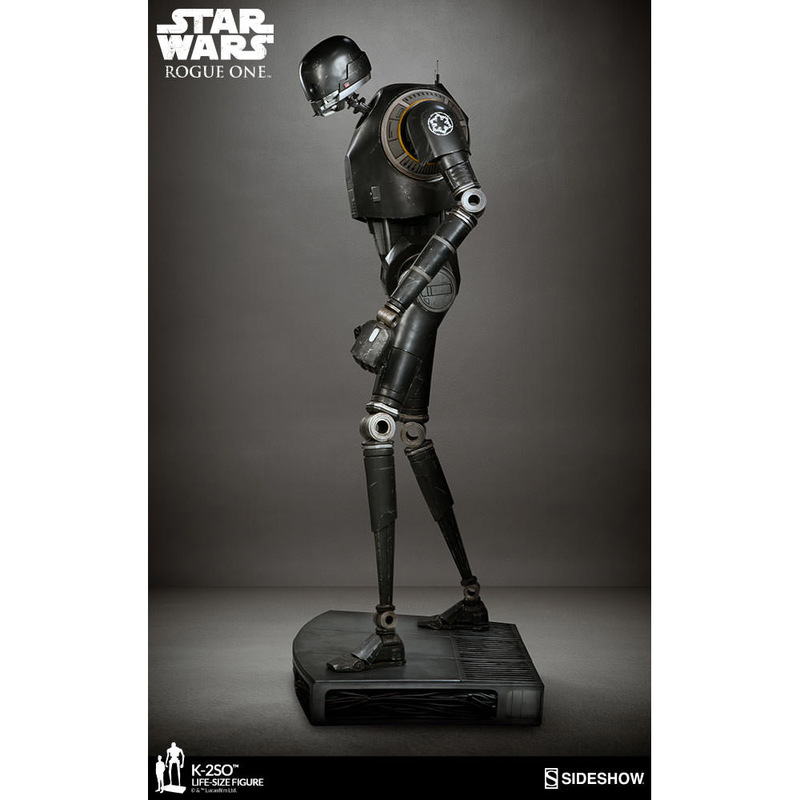 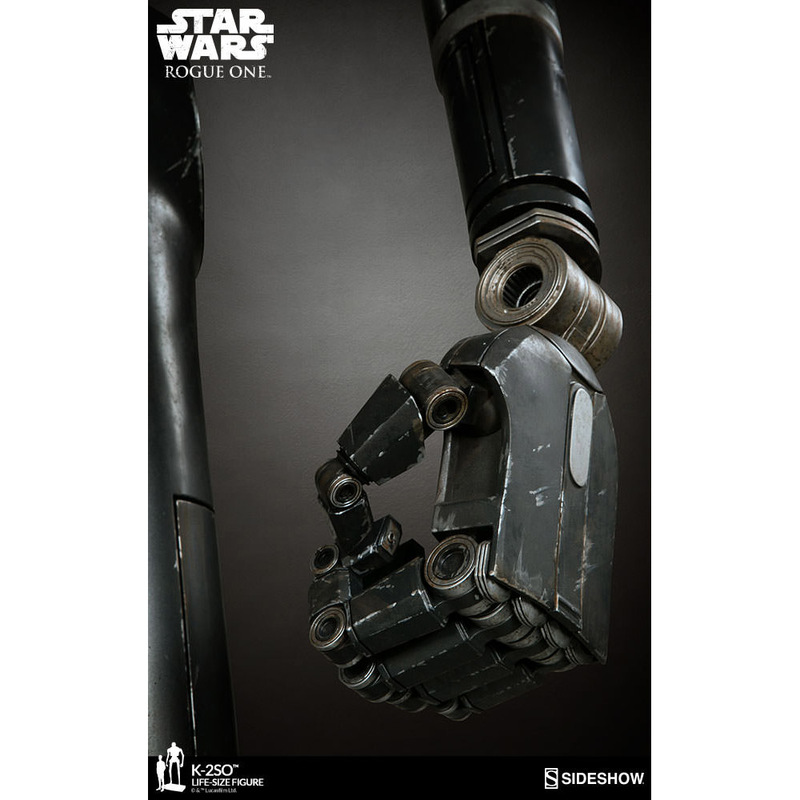 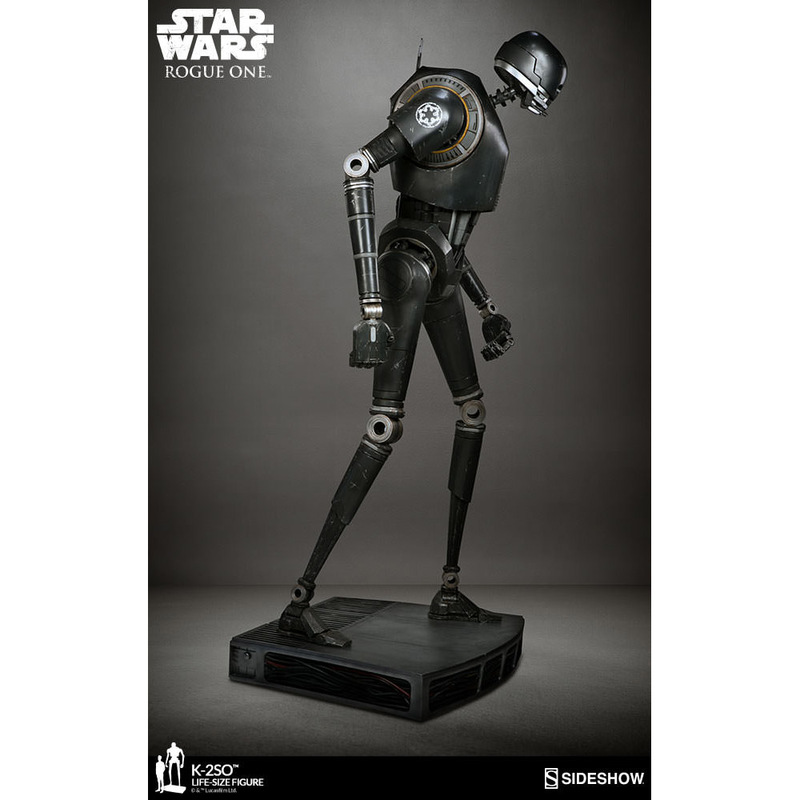 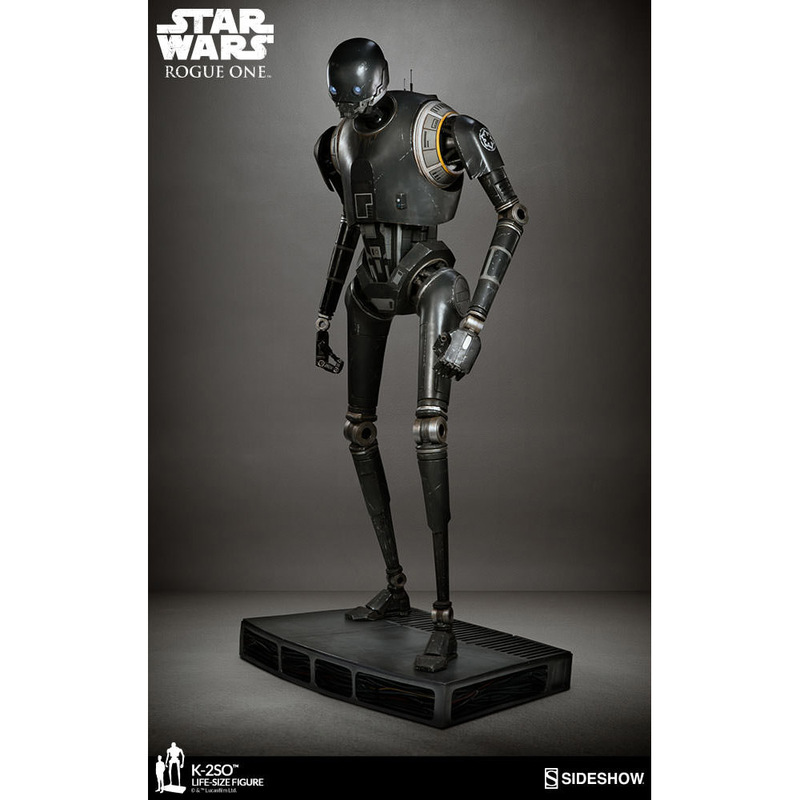 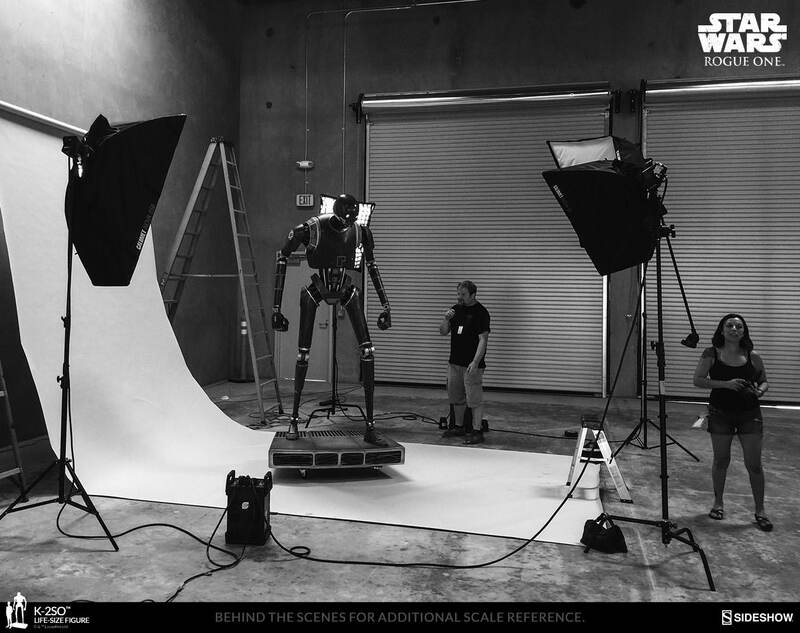 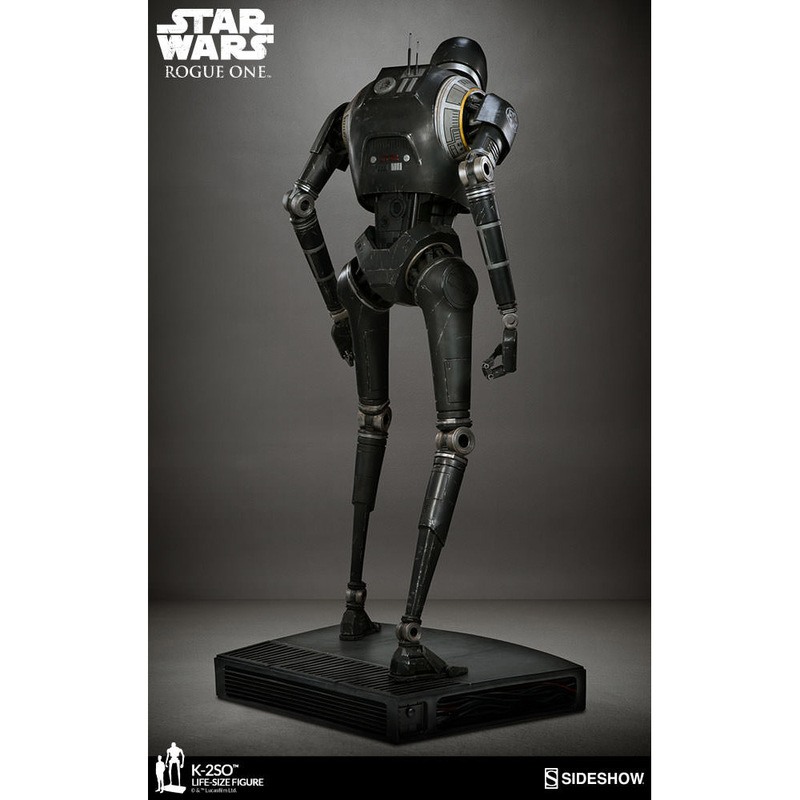 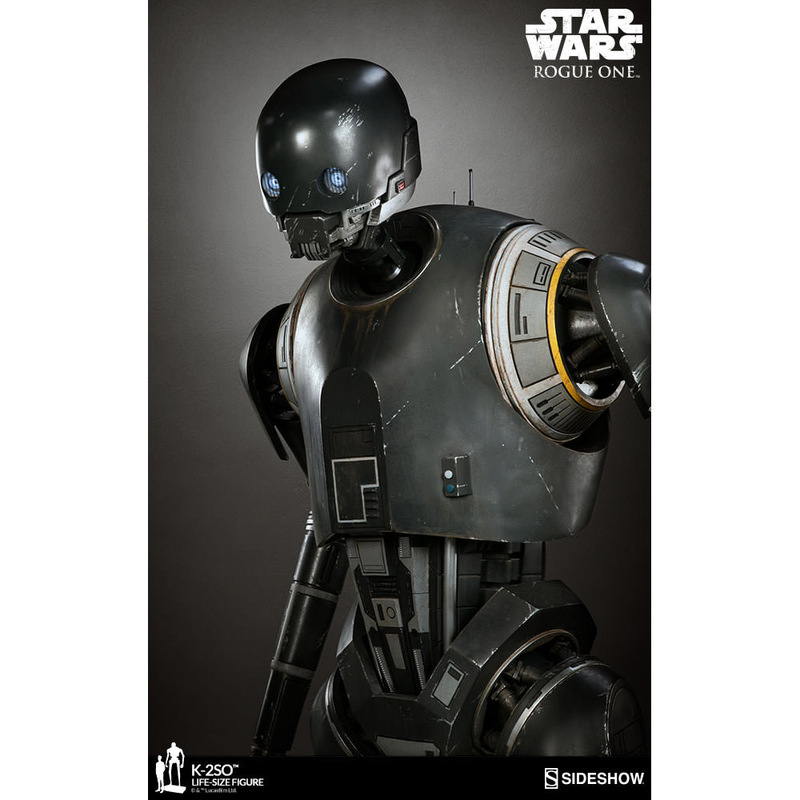 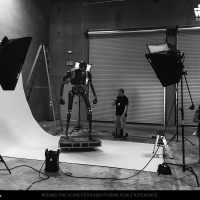 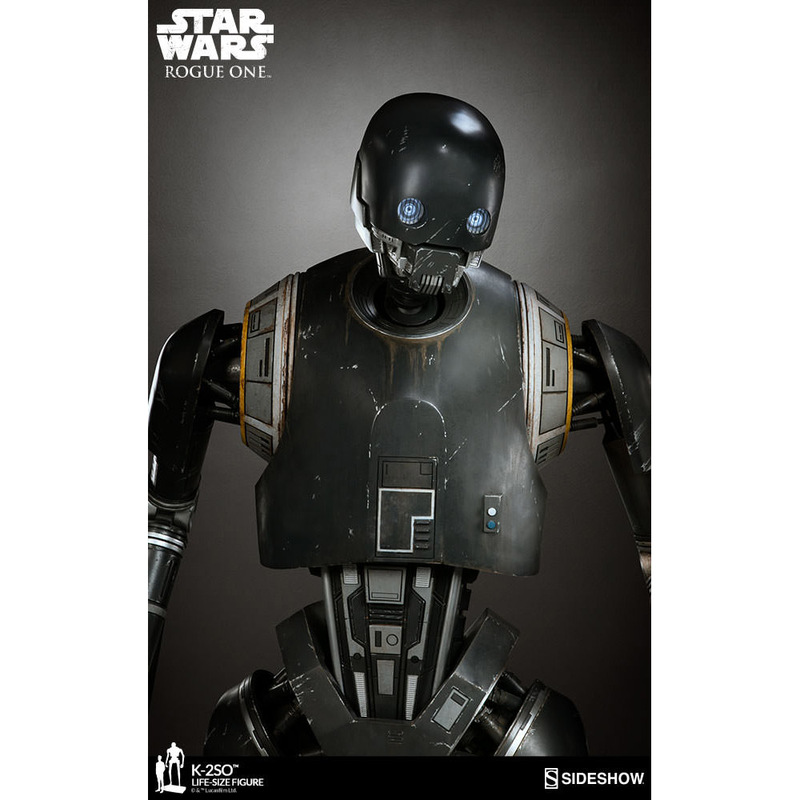 You’ll think your home has been invaded by Imperial forces when you see the Star Wars: Rogue One K-2SO Life-Size Figure, but don’t worry. 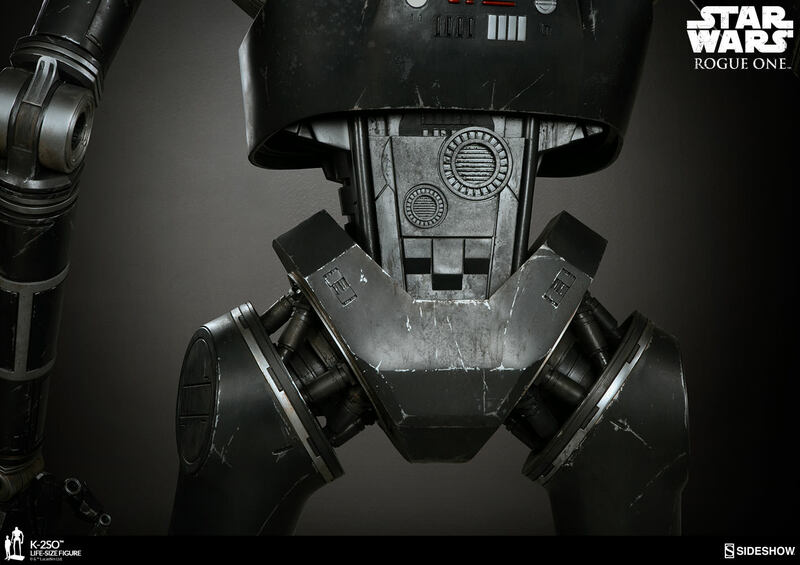 He’s one of the good guys. 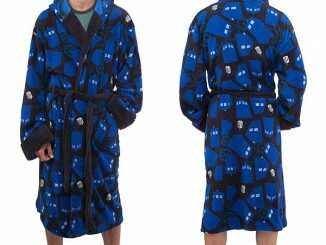 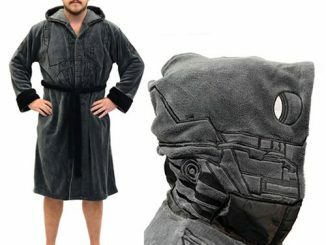 If you define good as being slightly snarky. 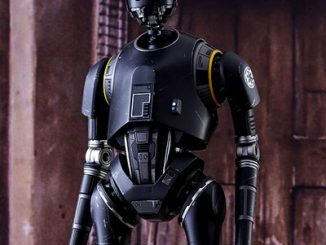 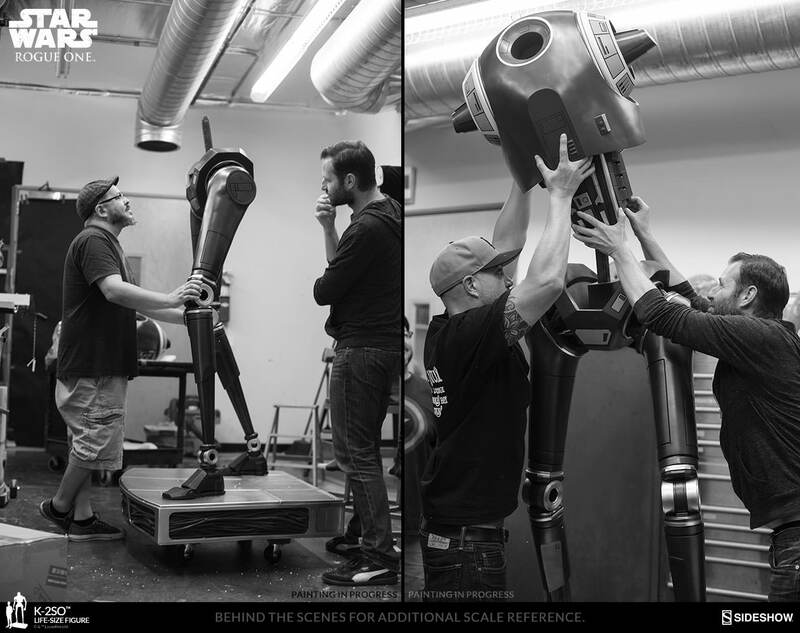 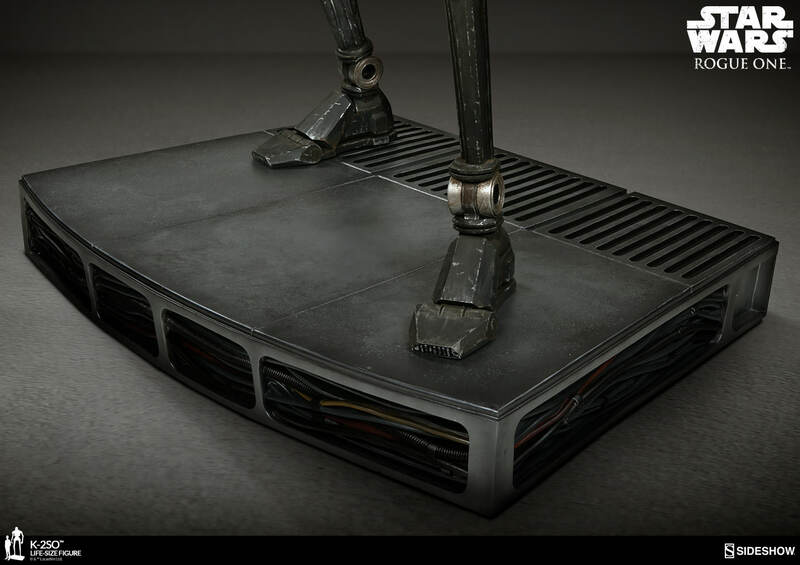 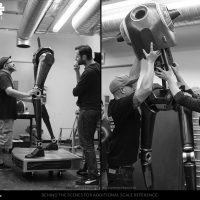 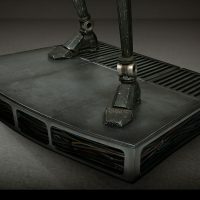 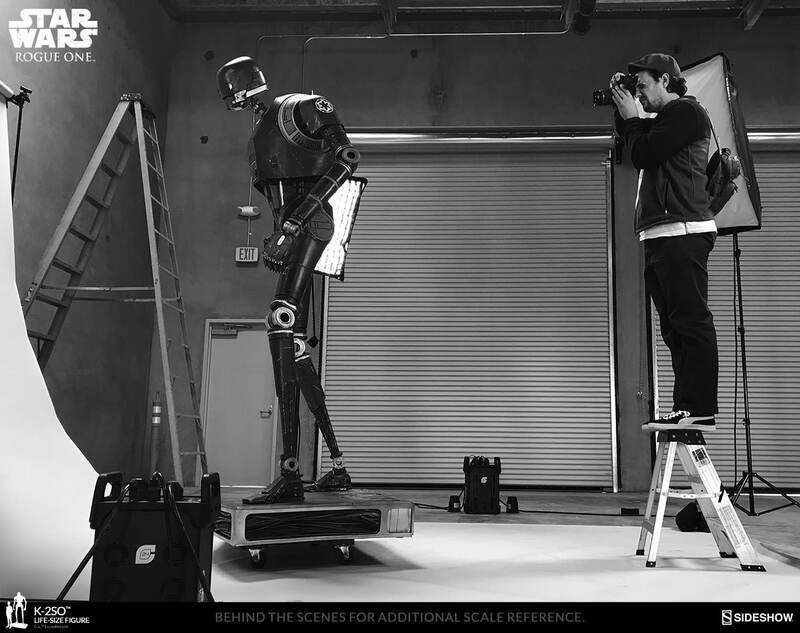 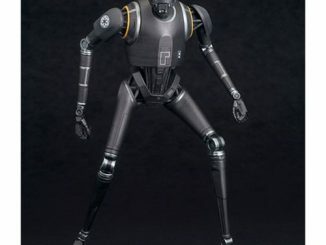 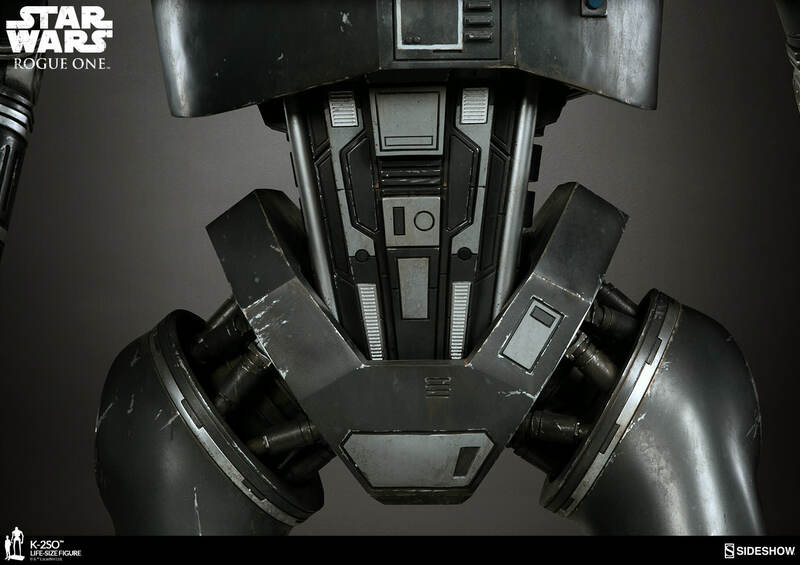 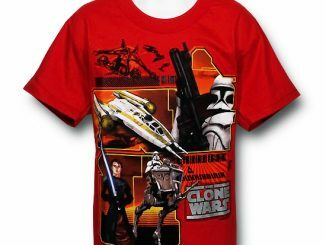 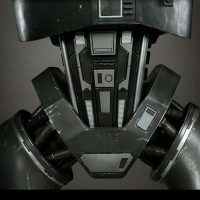 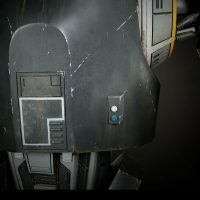 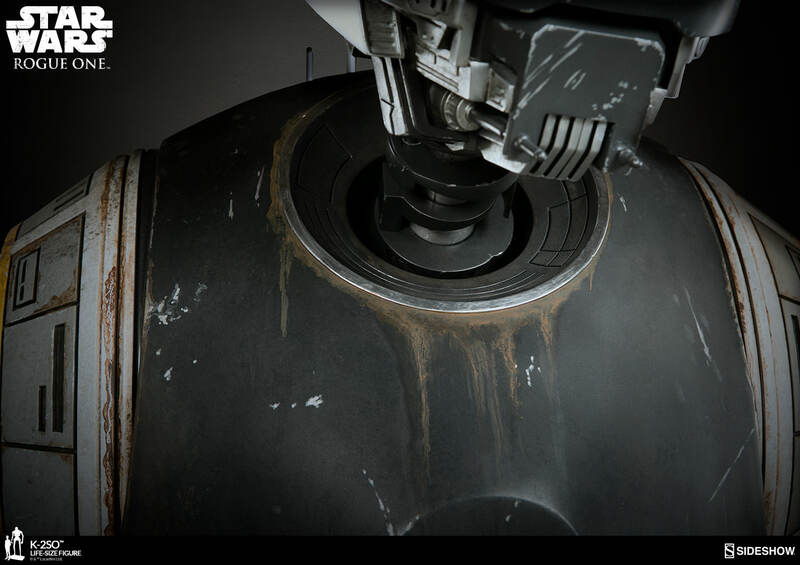 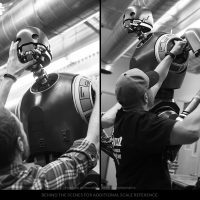 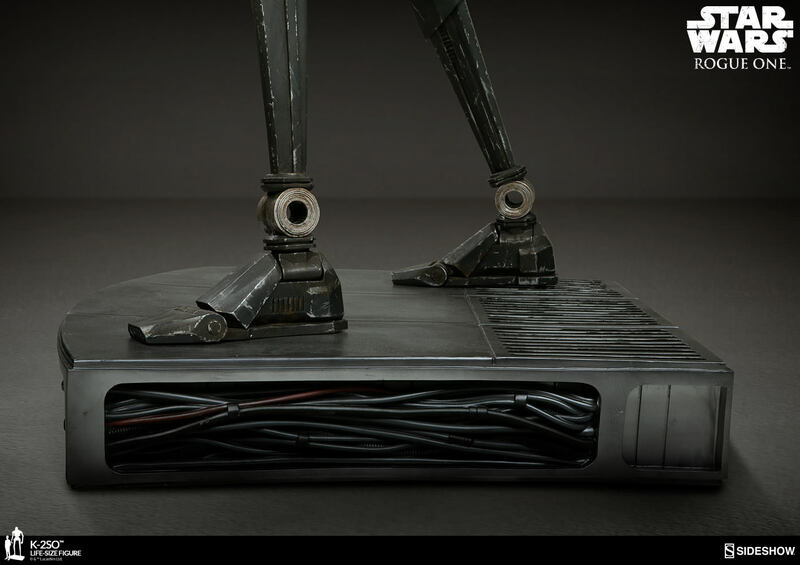 Standing almost 8-feet tall, this highly-detailed droid will get the attention and respect of all your friends, regardless of whether they’re with the Empire or the Rebellion. 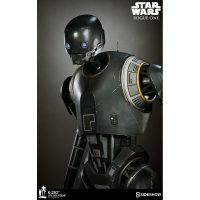 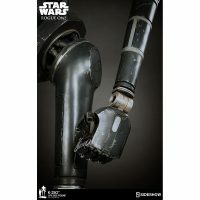 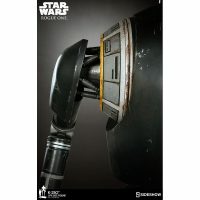 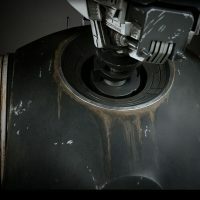 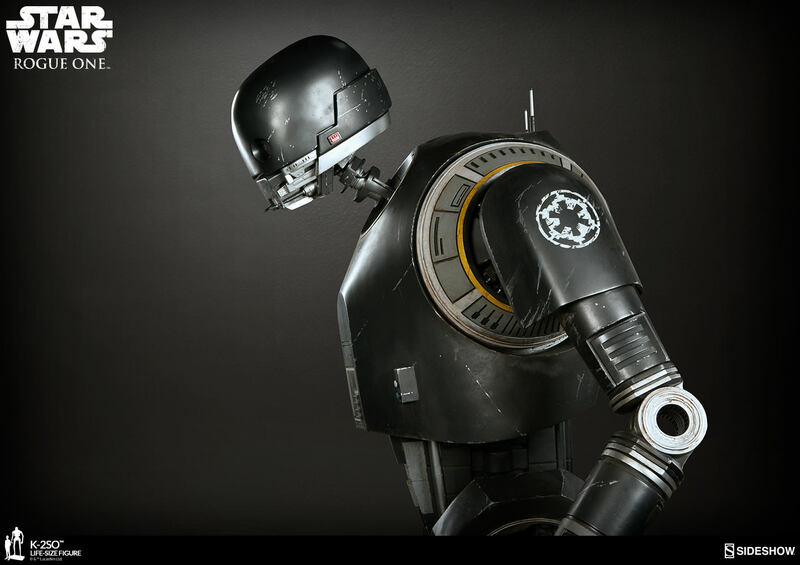 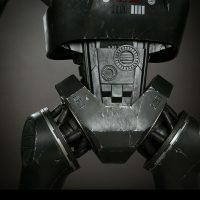 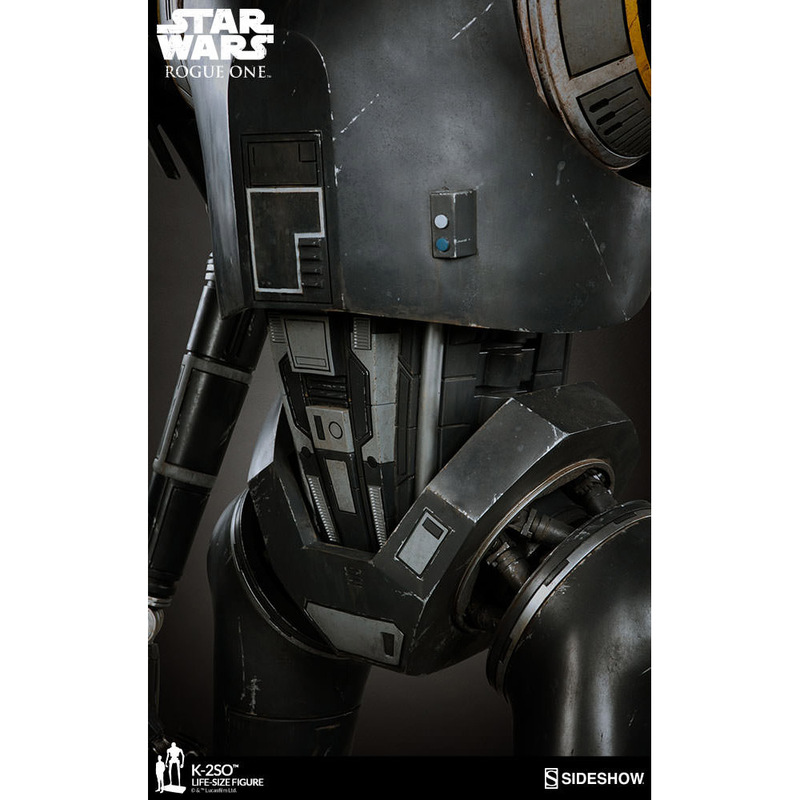 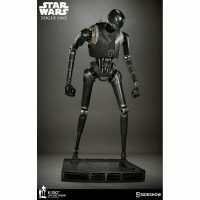 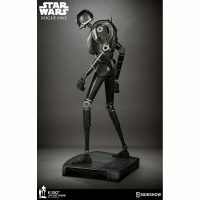 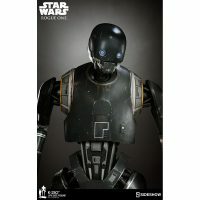 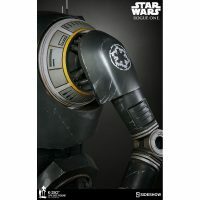 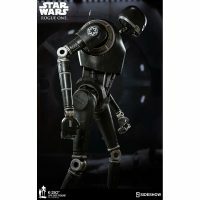 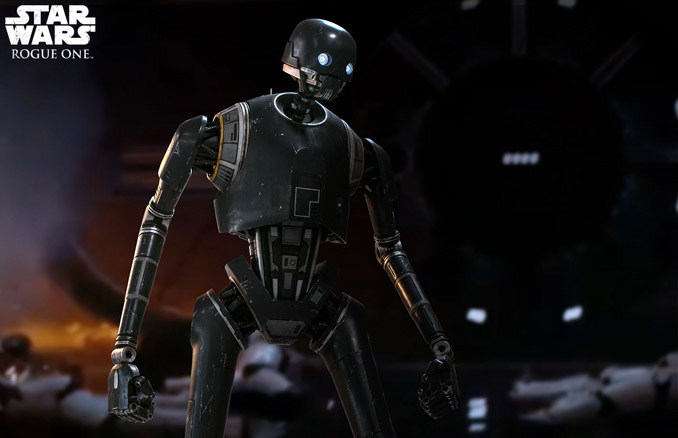 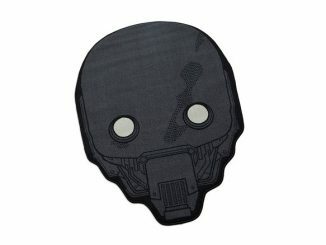 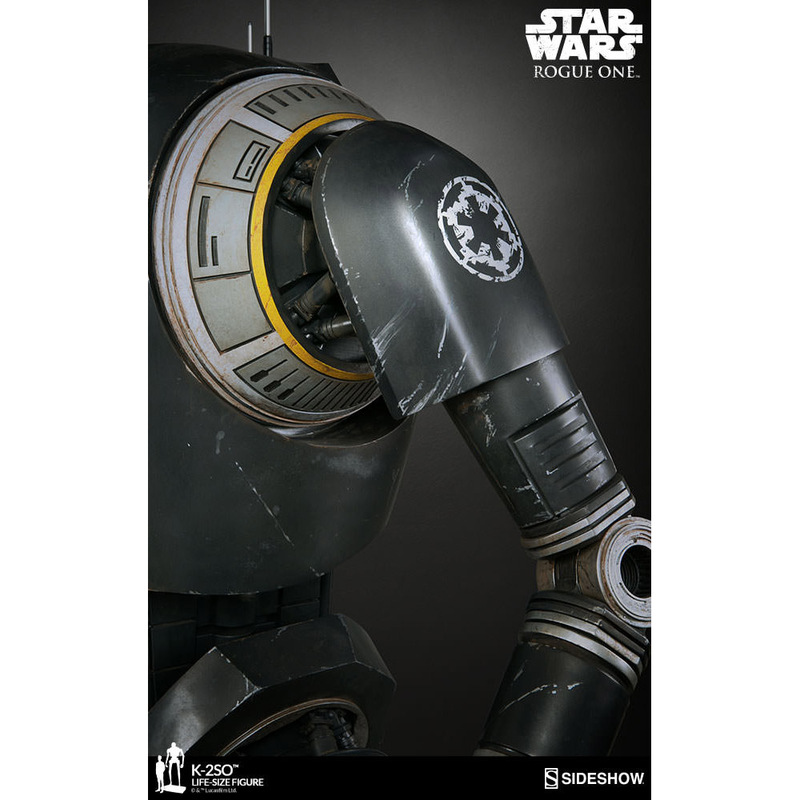 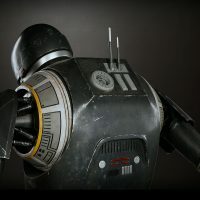 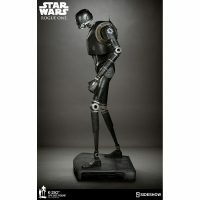 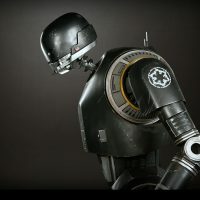 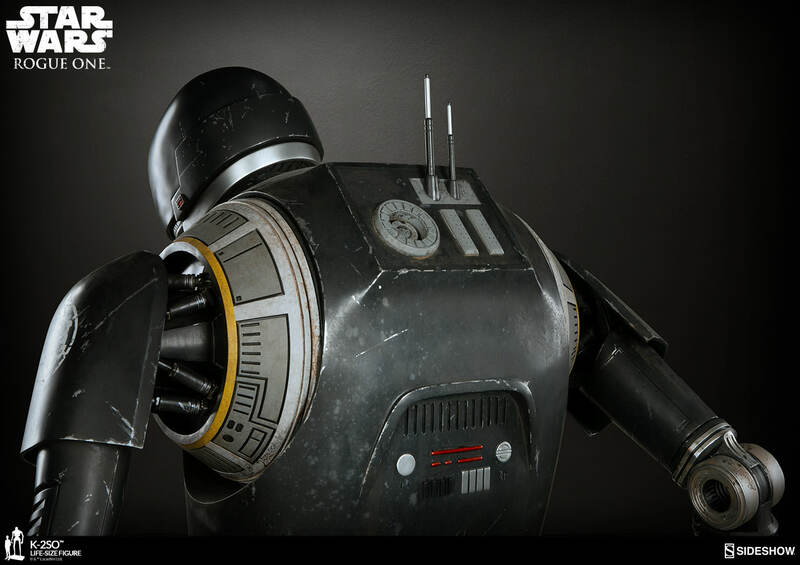 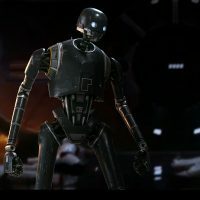 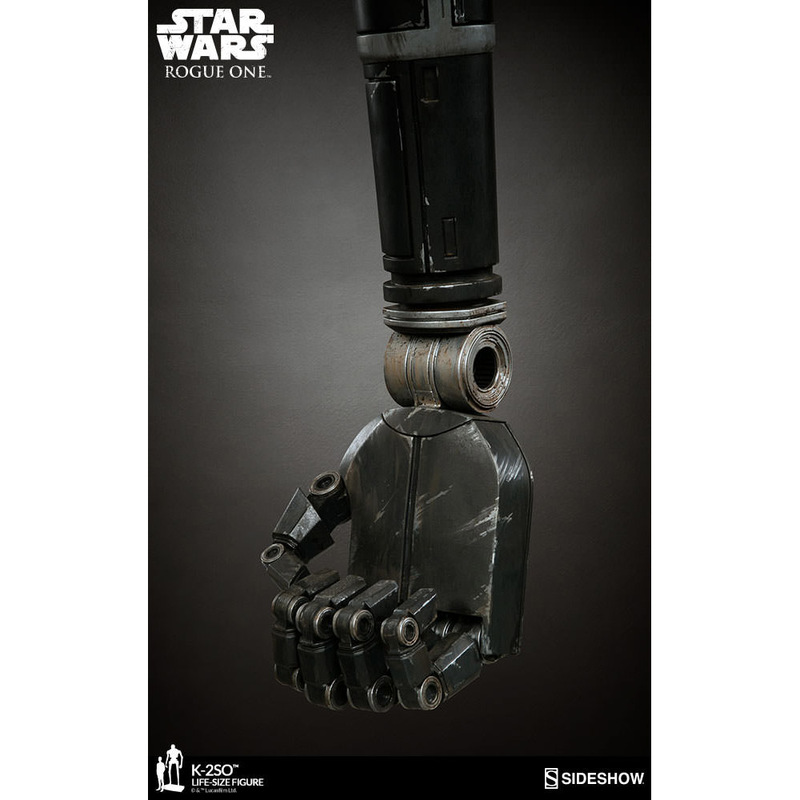 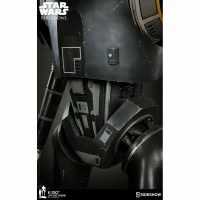 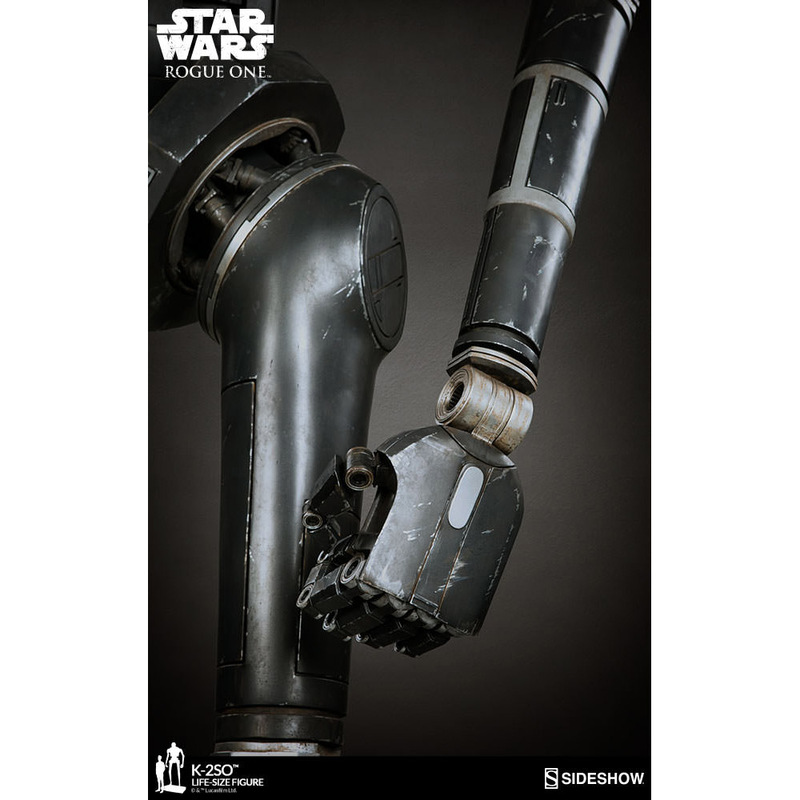 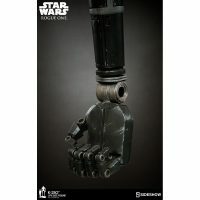 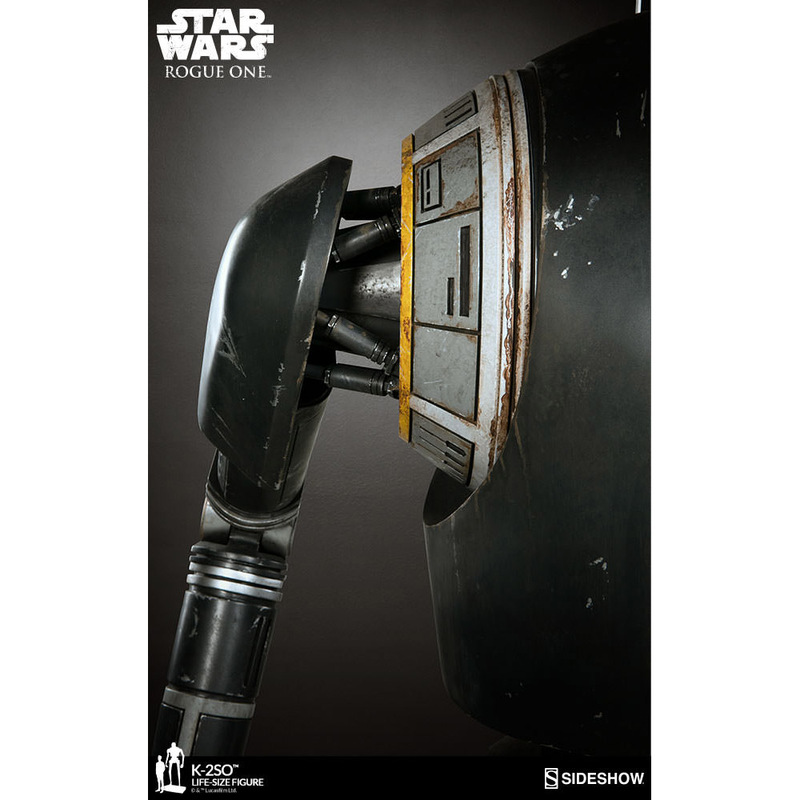 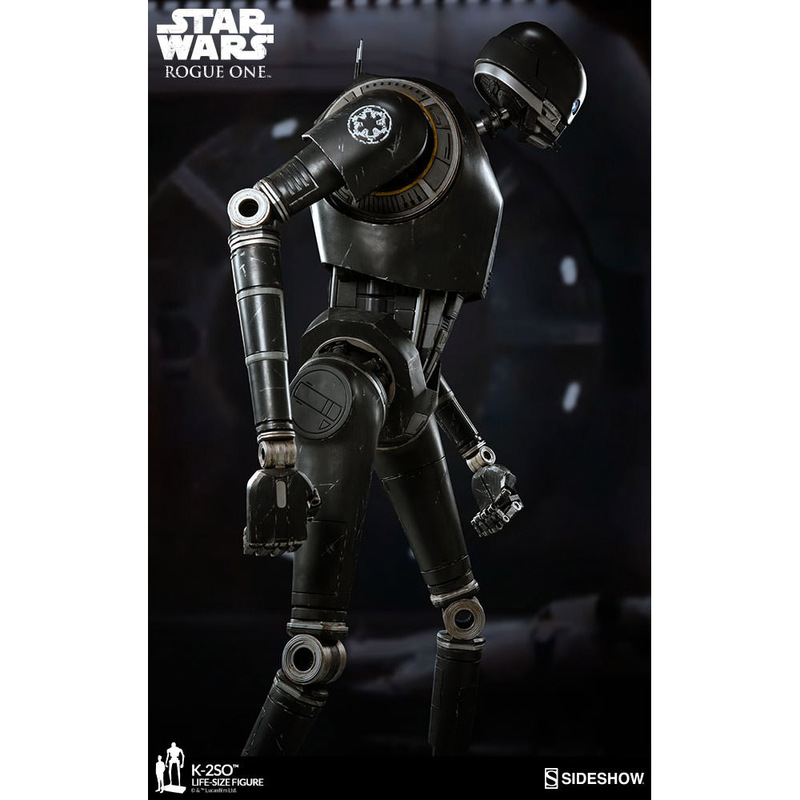 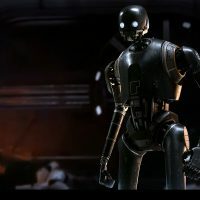 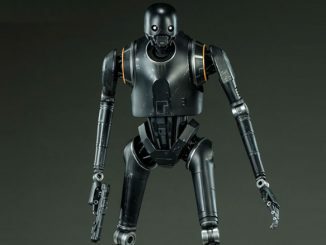 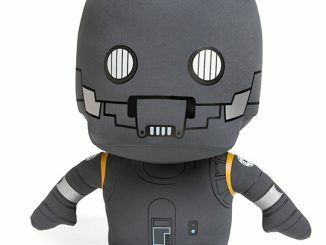 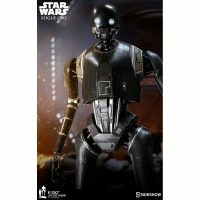 Made of fiberglass, resin, and metal, K-2SO features visibly weathered armor, red and yellow details on his shoulders and technical panels, and an Imperial logo on his shoulder. 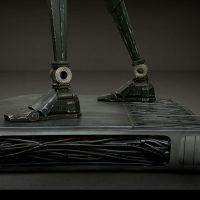 You can even see the pistons and gears in his joints. 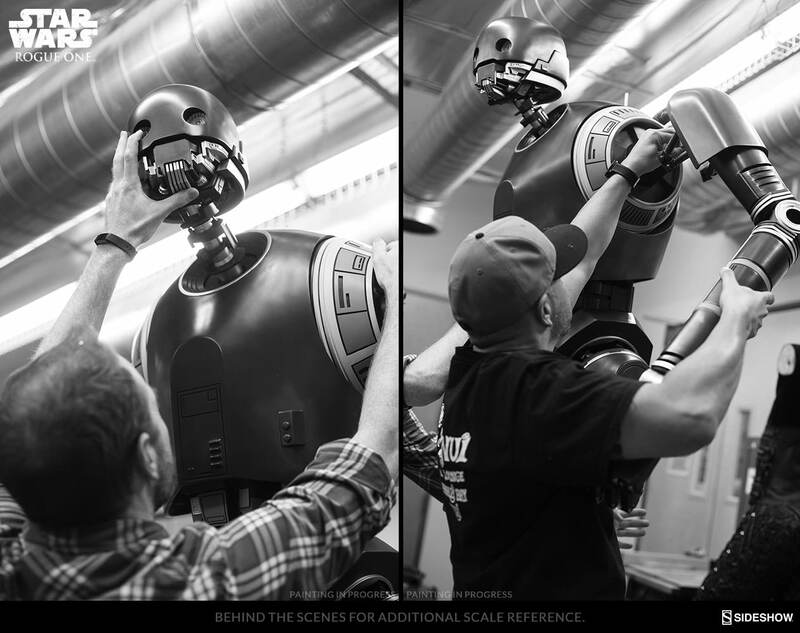 Light-up eyes and a poseable head help bring the character to life. 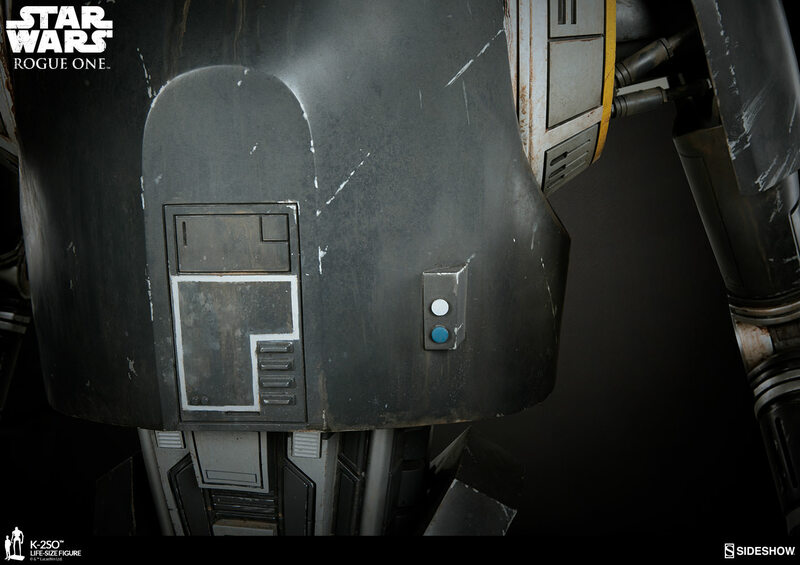 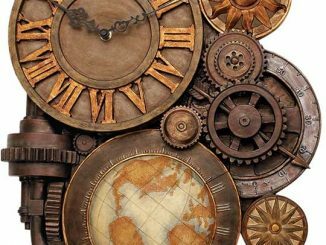 Coming Jun 2018 – Aug 2018. 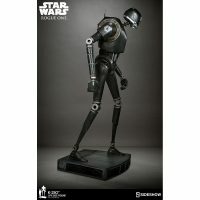 Preorder now for $8,900 ($801/month) at Sideshow Collectibles.